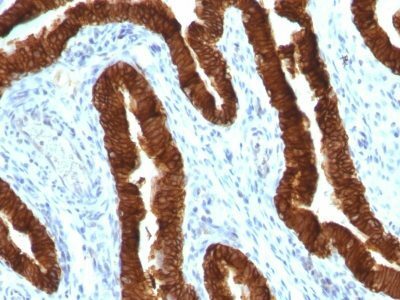 Recognizes a protein of 40 kDa, identified as cytokeratin-19 (CK19), which is expressed in sweat gland, mammary gland ductal and secretory cells, bile ducts, gastrointestinal tract, bladder urothelium, oral epithelia, esophagus, and ectocervical epithelium. 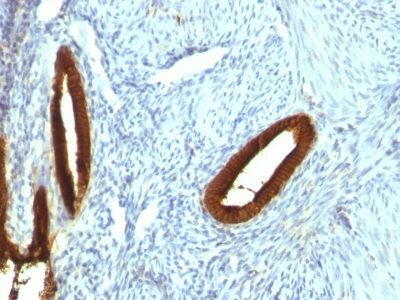 Recognizes a protein of 40 kDa, identified as cytokeratin-19 (CK19), which is expressed in sweat gland, mammary gland ductal and secretory cells, bile ducts, gastrointestinal tract, bladder urothelium, oral epithelia, esophagus, and ectocervical epithelium. 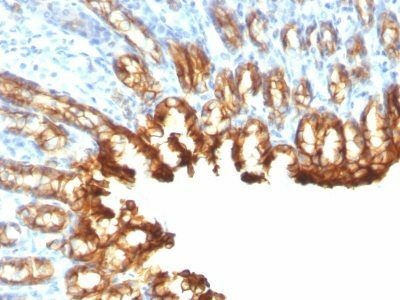 Anti-CK19 reacts with a wide variety of epithelial malignancies including adenocarcinomas of the colon, stomach, pancreas, biliary tract, liver, and breast. 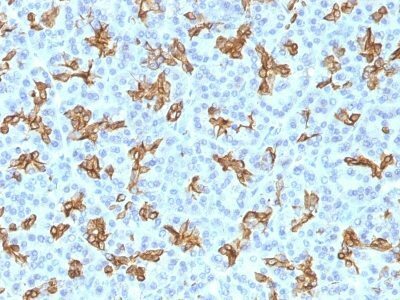 Perhaps the most useful application is the identification of thyroid carcinoma of the papillary type, although 50%-60% of follicular carcinomas are also labeled. 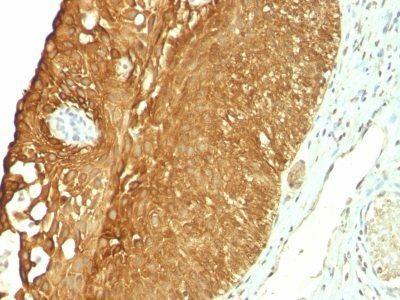 Anti-CK19 is a useful marker for detection of tumor cells in lymph nodes, peripheral blood, bone marrow and breast cancer. 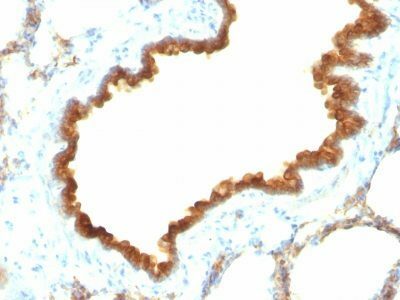 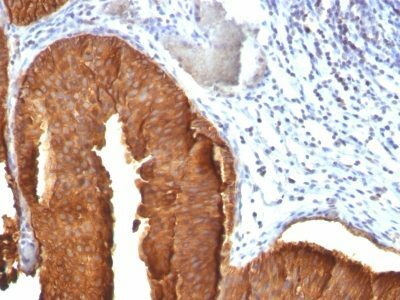 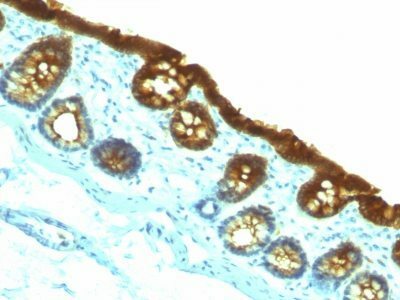 Catalog number key for antibody number 0800, Anti-Cytokeratin 19 (KRT19/800) The prefix indicates conjugation, followed by the antibody number and size suffix.